Our mission is to connect diverse communities that are culturally unique, yet similar in heritage, by stimulating an interest in the exciting traditions of Yorùbá culture through dance, music, storytelling, and the arts; creating the opportunity for children and adults to increase their knowledge and awareness of West African customs and traditions. Teaching Yorùbá music, dance, art and traditional values to youths and adults of all ages. Educating the community through symposium and seminar. Showcasing Traditional Yorùbá arts in the classroom, community center, University and corporate arena. 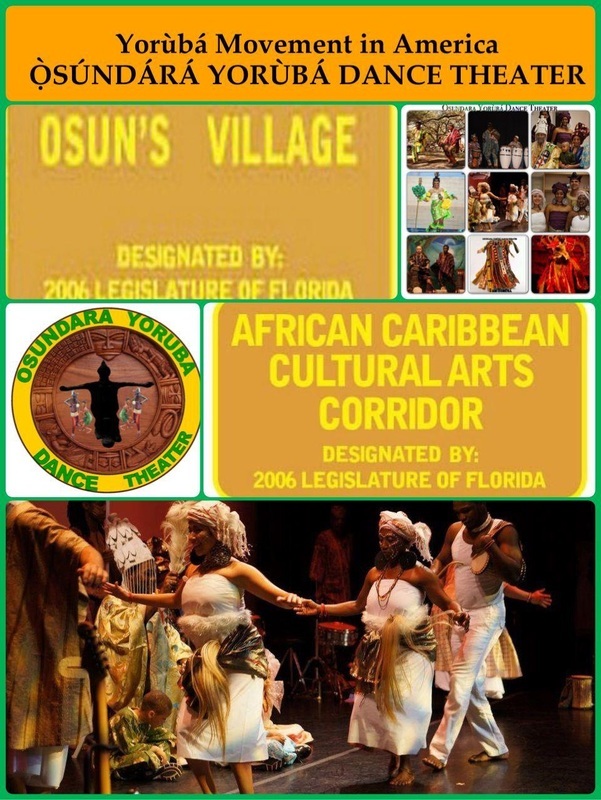 OsunDara offer a wide range of performance opportunities, such as theater, community events, festivals as well as educational programs and workshops at universities and local schools. We are able to customize our repertoire depending on the size and type of audience as well as the location; our high-caliber authentic folkloric dance is artistic, educational, and culturally unique serving diverse communities, audiences and participants of all ages. "YORUBA CULTURE GETS A SHOWING"